We provide wide range of furniture option such as dinning hall set, dining room set, bed room mattress, office/study room table/chair, kitchen cabinet, garden set, Bar counter& chair, Accessories, Children set, sofa bed, relax chair, bedroom set, coffee table, console table, display cabinet, shoe cabinet, and sofa set. 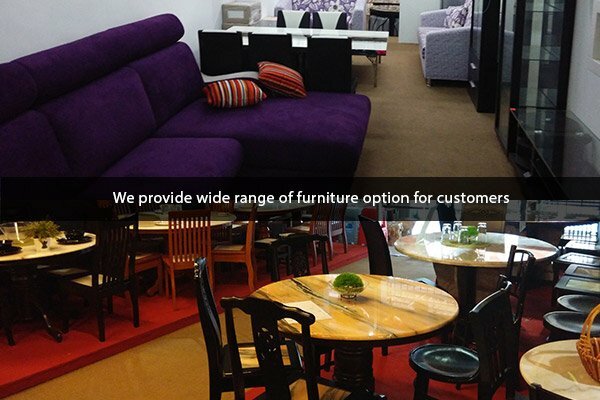 Fu Watt Furniture Trading Sdn Bhd updated Profile - Header Image. Address: 532-541, Jalan Kenanga 29/17, Bandar Indahpura, 81000 Kulaijaya, Johor, Malaysia.